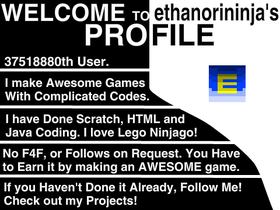 This is another account of EthanPRO123 as my others were blocked. I'm the 37518880th User. WHICH GAME SHOULD I UPDATE? I am currently busy doing school projects so therefore I would be less active on 3.0!